This spring, send an entire garden of cheer! 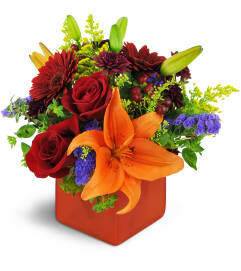 So many blooms fill this rustic tin container, it’s truly a splendid sight. 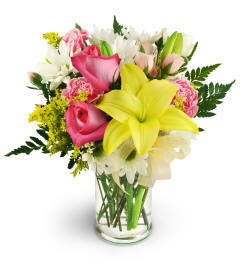 Arranged to look like a fresh spring garden, this is sure to please the nature-lovers in your life! 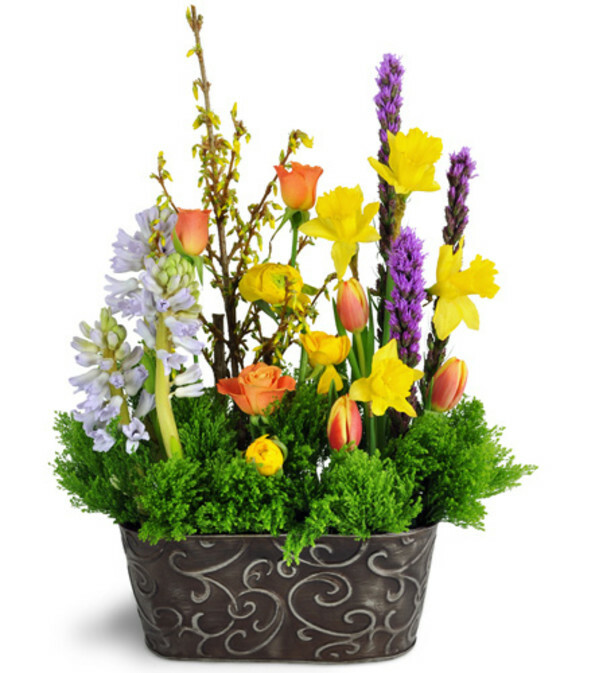 Featuring hyacinth, tulips, daffodils, roses, ranunculus, and forsythia in an antiqued metal container.